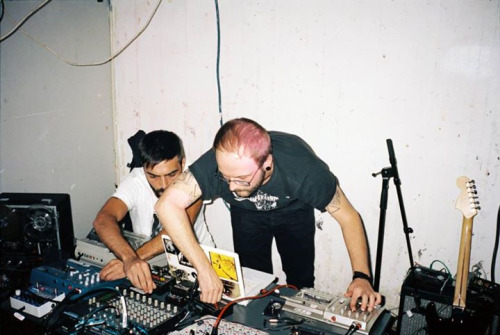 Matar Dolores is a duo formed in Napoli in 2011 by Francesco Tignola (Elisha Morningstar, Drug Age, Joy De Vivre) e Giuseppe Esposito (Blood Feud, Weltraum, Archivio Diafonico). Despite few releases (Toxo Records 2012, Archivio Diafonico 2014), they already played around in 15 countries during the years, in very different contexts, featuring their odd mix of sonic sources (musical and not), reworked mostly through tape- and digital- looping techniques: their style ranges between the crudeness of musique concrete and the disorienting brutality of infinite fragments of noise, deduced from their original contexts and meanings and re-located in a mimetical praxis of current acceleration. Watch out for new releases coming.